Papworth Security: Adelaide Home and Business Security Installations and installators had a WordPress website that was not responsive and that needed updating. We started fresh with a new WordPress and build a website that they were very happy with and that provided with the main information of what security products and security services Papworth Security offers. 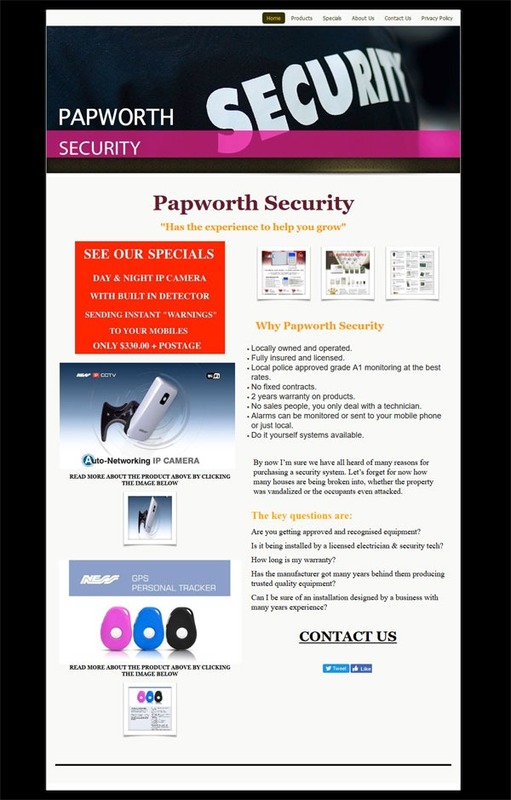 Old website of Papworth Security before Website Adelaide redesigned it.